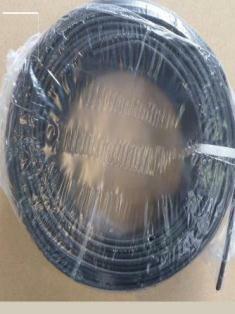 6 mm², single-core, black, 500m 500m solar cable with length label. Supplied on a reusable spool. Conductor cross-section: 6 mm² (this is not the cable diameter, but rather the cross-sectional area). 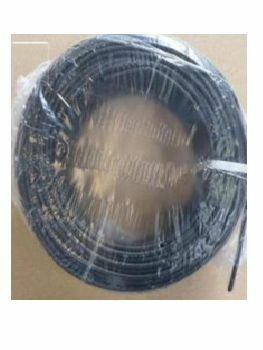 System voltage: 1800 V Rated current: 70 A according to DIN VDE 0298 part 4 Operating temperature range: -40 – 120 °C Solar cable, high temperature and UV-resistant, reliable for inside and outside use. Resistant to ammonia, ozone, mineral oil and acid. Excellent fire-resistance. 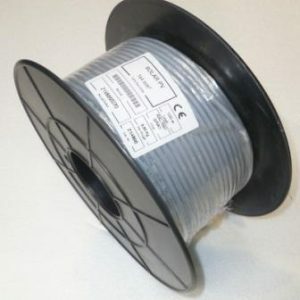 Colour: Black It’s important to choose the correct cable spec for your project. We can provide assistance with this if needed.